The very first question is what is a landing page? It is a webpage which provides entry to the website or to particular section of a website. A website is a collection of different pages. For instances, you are providing certain services to your clients. These services come under a particular parent page (off course not a homepage) then this parent page is known as landing page as it is gateway to different service pages. It is very important to design landing page in an engaging manner. The reason being if the visitor doesn’t find this page interesting then (s)he will navigate to some other website. There are certain points which you should keep in mind while designing it. The visitor comes to your landing page for certain reason. Make sure that (s)he will get what (s)he is looking for. We all understand that people don’t have much time. So, it would be good for you if you stick to the purpose. You should address the reasons for which your visitors are coming to your page. Without wasting any time your visitors should know what they have to do after coming to your web page. Provide them clear call to action so that they don’t face any trouble in searching call to action button. It is recommended that you should place call to action button (contact form/ enquiry form) above the fold. The colours should match your business. For example if you are doing business with eco-friendly products then green would be a great option. Your logo represents your brand. Make it dominant in order to infuse confidence among your buyers. 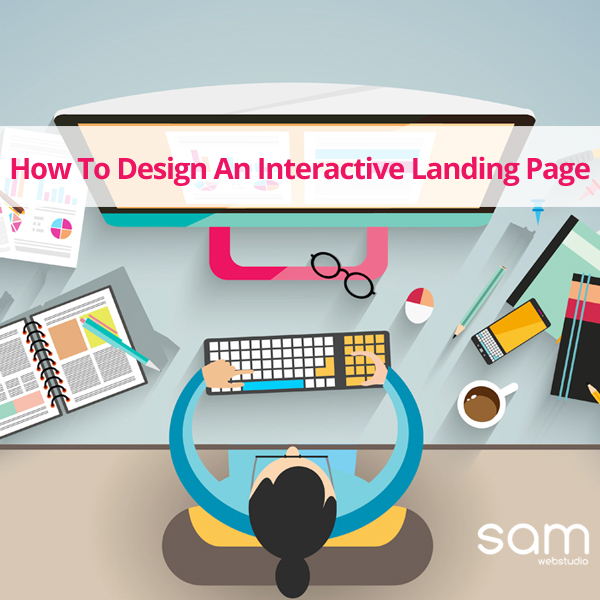 It is recommended that you should not use extravagant visuals while designing landing page. These don’t support conversion. These just distract the mind of the visitor. It’s better to avoid such things. These are certain things which one should keep in mind while designing the landing page. These tips will surely help in enhancing the conversion rate. SAM Web Studio – an award winning website designing company in India, is offering high end web solutions. We are specialized in designing responsive websites, ecommerce websites & dynamic websites. We do offer customized packages. Call us at +91-9968353570 to get affordable web packages.